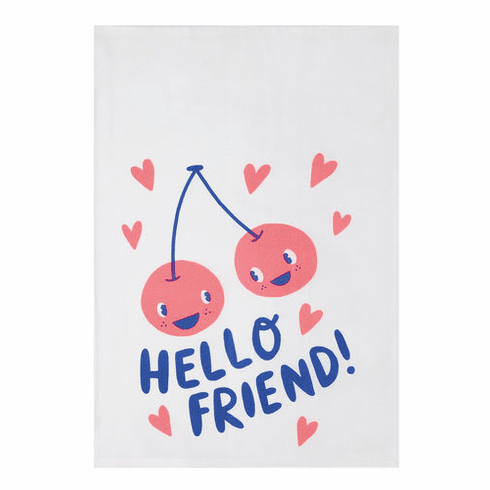 Hello Friend 100% cotton kitchen towels is a fun and useful gift for your favorite friends. Featuring cheerful cherries, this towel is a light-hearted addition to anyone's kitchen and will bring a smile to any dish dryer's face! Towels measure a generous 18 x 25"